1. 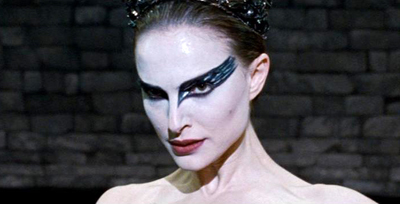 In Nina’s dream, which character from Swan Lake is involved? 2. What odd body condition does Erica notice on Nina? 3. What does Nina first steal from Beth’s dressing room? 4. At ballet auditions in the Lincoln Center, we are introduced to a new student, Lily. Where did she originate from? 5. After an intimate conversation with Thomas Leroy, who got the part of The Swan Queen, according to Nina? 6. Erica is so proud of Nina for getting the part of Swan Queen she bought her a cake made with their favorite flavors. What are they? 7. Beth, the enraged dancer, storms out during the gala dinner and Thomas’s toast. What was her concern? 8. Meanwhile, Nina notices an irritation on her skin. Where is it coming from? 9. In a private and creepy (yes, I do mean it that way) intervention with Nina, Thomas has an assignment for her. What is it? 10. During rehearsal, what is Thomas’s main concern about Nina’s performance as the Black Swan? 11. The next day of rehearsal, why did Nina confront Lily? 12. How did Beth end up in the hospital? 13. How old was Erica when she had Nina and gave up her ballet career? 14. Who gave Lily Nina’s home address? 15. How does Lily like her cheeseburgers? 16. Lily introduces Nina to Tom and Jerry. What is Jerry’s real name? 17. Erica approaches Nina, outraged, and asks where she’s been. How does Nina respond? 18. Lily and Nina, while intoxicated, go to Nina’s apartment and makeout. What does not happen? 19. The lights go out and Nina is alone in the stage. What does she see backstage? 20. Nina goes to the hospital to visit Beth. Which stolen item does Nina return first? 21. Nina runs home, all the manic hallucinations happen, and she turns into a swan. Which transformation happens last? 22. Because her daughter became so violently psychotic, Erica locks Nina in her room. Where did Erica hide the doorknob? 23. So far, Swan Lake’s recital has been running smoothly, until David accidentally drops Nina. Why did he lose his grip?